Every so often, here on NY Spender, I like to review new or interesting Italian brands for my English speaking readers. While big Italian fashion names like Versace, Prada and Gucci don't need any introduction, there are many other names that don't really spill over the Italian borders, or if they do, they don't do it with a loud bang. How perfect for a fashion addict! Wait, you're not impressed? 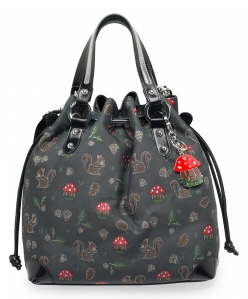 Ok, how about these bags? These are Braccialini handbags and they are simply gorgeous. 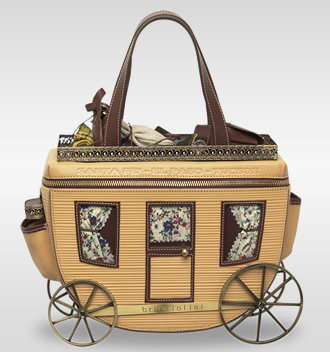 Their craftsmanship is something I've never seen applied to handbags before. 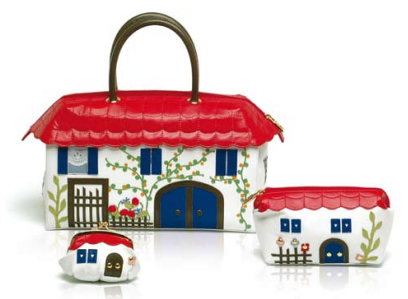 These whimsical bags carry their "Made in Italy" badge with pride. Founded in 1954 by Carla Braccialini and her husband, today the brand is managed by her three sons with headquarters in Florence. They have a store in New York, in Soho, but I still feel not many people here in America know about Braccialini. At least not the way they know about Louis Vuitton. 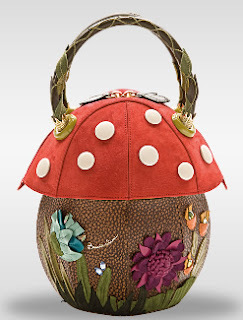 Prices for a bag from their "TEMI" collection can very well cost over $1,000. This collection is their most prized one and is composed of masterpieces of fantasy and leather works. 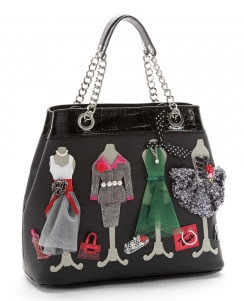 How adorable is this bag? The little squirrels, a few mushrooms... better than a bunch of Ls and Vs, Cs and Cs, Fs and Fs, Gs and Gs scattered around, or at least, a refreshing alternative, don't you agree? That's what I like about Braccialini: they fill a void in the current handbag industry, a void caused by too much caution and too little fantasy. Those bags are cute but they are too kitsch for my likes! They look really cute. I adore almost all of em.